Why You Need a Metal Roofing Supplier Who’s on the Case 24/7. In today’s competitive business environment it’s critical that you position your company in the best possible scenario for success. One of the most important things that you can do is to align yourself with professionals who won’t let you down. Whether you’re in the market for a new metal roofing supplier, contractor, or sub-contractors, you want to make sure that their values and goals are in line with yours. Trust someone who proves that they’re willing to work for you and your clients 24/7. Focused on providing comprehensive solutions. Whether you are an architect, a contractor, or a building owner, you want and need a supplier who can help create business opportunities. Look for a someone who will provide comprehensive solutions for you. Successfully completing a project is a team effort that starts well before the job begins and doesn’t end until the customer is satisfied with the end result. Goes beyond supplier to work as a partner. When it comes to a metal roofing supplier, you want more than just a company that sells metal. You need a valuable partner who will assist you in completing projects, and getting new ones as well. Experienced enough to provide project consulting services and offers comprehensive spec review. Look for a partner who can provide valuable assistance during the pre-bid and post-bid phase with bid submittal, engineering and shop drawing expertise. Remains in compliance with building codes. 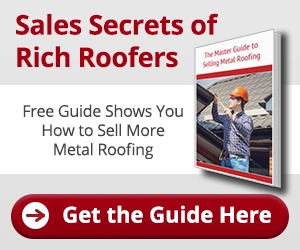 You need a supplier who understands the unique challenges of metal roofing. All products and panels must be in full compliance with the Miami-Dade County Building Code, and be specifically designed to withstand the wide variations in weather conditions experienced here in South Florida. Stays up to date. Ideally you need a supplier who can deliver up-to-date product testing and outstanding weather-tightness warranties. Of course, rely on one who offers exceptional product quality and service. Provides installation training support. If possible, always seek metal suppliers who offer a full array of continuing education courses and installation training to support you. Whether you are an architect who specifies in metal roofing projects, a contractor, or an installer; product education is very important. Provides export services. You want a supplier who can ship you everything you need for a professionally installed metal roofing system. If you have work overseas, you will appreciate someone with the experience and professionalism it takes to execute exporting tasks. Can fulfill custom orders. Sometimes you may have a specific need that requires a custom order. You must rely on a supplier that can build whatever piece you need to fulfill your job. The bottom line? You need to partner with a metal roof supplier who will be there for you when and where you need them. You can always count on us!